Placing the electric motor inside the transmission saves space -- crucial for a vehicle such as the Mustang. BMW already uses this layout for its hybrid sedans. It's rare when an automaker reveals product plans three years in advance. But that's what Ford Motor Co. did last week when CEO Mark Fields explained how the company will spend some of the US$4.5 billion it has committed to developing 13 electrified vehicles by 2020. Fields identified seven of those vehicles, but -- unsurprisingly -- provided few technical details. In an effort to keep costs down and launch the vehicles in just 36 months, Ford likely will update and upgrade some of its electrification technology and develop or buy new components from suppliers. Here's a look at the new vehicles and how they are likely to be configured. What Ford says: "The F-150 Hybrid, built at Ford's Dearborn Truck Plant, will offer powerful towing and operate as a mobile generator." How it could be done: The new Ford-General Motors 10-speed automatic offers an opportunity to package the electric motor inside the transmission, and this could be shared with the Mustang Hybrid to save costs. Or Ford could house the electric motor between the engine and transmission where the torque converter is normally placed. Packaging will be no problem in the big truck because the battery pack could be housed under the rear seat or between the frame rails. Risk and reward: Risky. GM twice tried and twice failed to market hybrid pickups. And the first one, the 2004-07 Chevrolet Silverado Hybrid and GMC Sierra Hybrid, doubled as mobile power generators. "Truck owners have not warmed to the option in prior examples," says IHS Markit analyst Stephanie Brinley. "However, market conditions and technology have changed. To be considered seriously by truck owners, it will need to offer more utility or capability than the standard gasoline powertrain vehicle does." As for costs, the aluminum-bodied F-150 is already at a disadvantage vs. competitors. Adding a hybrid powertrain to the F-150 will bump up costs even higher. But Ford customers have stepped up each time Ford has increased the F-150's towing and hauling capability. If Ford were to use the F-150's hybrid powertrain in the Expedition and Lincoln Navigator, economies of scale would help lower costs. Says Todd Eckert, F-150 group marketing manager: "It's going to be in the way we position it, in terms of the attributes it has for our customers. We see an opportunity from a customer perspective in terms of the hybrid and electrification. There were lots of questions when we brought in EcoBoost engines." MUSTANG HYBRID: A heftier, costlier pony car? What Ford says: "Deliver V-8 power and even more low-end torque." Challenges: Weight, packaging of batteries, electric motor/power electronics, cost. How it could be done: Installing a hybrid powertrain in this cramped sports car may be the toughest packaging job Ford engineers have faced. Most Mustang models gained weight and lost room underneath when Ford added independent rear suspension in 2015. But AutoPacific Analyst Dave Sullivan says Ford is likely to take a page from BMW's playbook to create the Mustang Hybrid. On BMW 3- and 5-series hybrid sedans, for example, the electric motor is built in to the automatic transmission and the lithium ion batteries are in the trunk. Sullivan says a Mustang Hybrid would lose its spare tire and some trunk space. The Mustang Hybrid would likely be powered by an EcoBoost four-cylinder engine, leaving enough space under the hood for the power electronics. 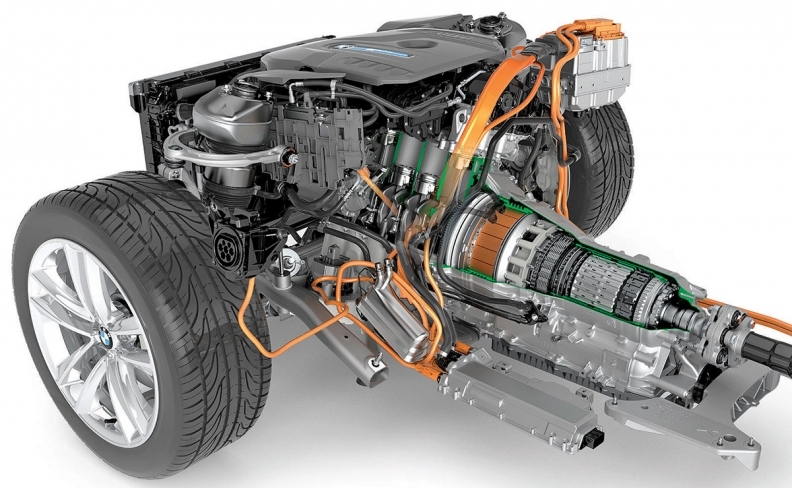 The electric motor would deliver on Ford's promise of more low-end torque. Risk and reward: Risky. Pairing the turbo four with a hybrid system would add significant cost and weight -- two things that are never good for a sports car. It's unclear if traditional Mustang buyers would be interested in a hybrid version, especially if gasoline stays cheap. What Ford says: "Engineered to help reduce operating costs in even the most congested streets." Challenges: Cost, range, recharging time. How it could be done: The Transit van is available with front-wheel drive, rear-wheel drive or all-wheel drive in certain markets. To keep costs down, the cargo hauler will likely share a hybrid powertrain with the rwd hybrid architecture to be used in the Mustang, F-150 and possibly Expedition and Navigator, or the fwd layout being developed for utilities. The key will be electric driving range, which is crucial in European cities such as London, which impose a daily vehicle congestion charge, but exempt low-emissions vehicles. Risk and reward: Safe bet. Commercial buyers are always looking for the payback. The hybrid powertrain would add cost, but over time should pay for itself in fuel savings and, in Europe, lower taxation from reduced carbon dioxide emissions. What Ford says: "All-new fully electric small SUV ... engineered to deliver an estimated range of at least 300 miles (480 kilometres) ..."
Challenges: Cost, packaging, recharging time. How it could be done: The platform for this vehicle is likely to be a highly modified version of the EcoSport, the Fiesta-based crossover due to arrive in the U.S. in 2018. The vehicle would need a different floorpan to package the batteries, similar to the way Tesla builds the Model S and Chevrolet assembles the Bolt. Otherwise, interior storage room would be compromised, a no-no for a small utility. Ford has an electric powertrain in production with the Focus Electric, a car that earns good reviews for its performance, but sells poorly, due mostly to cost and range. Risk and reward: Slam dunk -- especially if a quick-charging system is available. "Electric vehicles are still showing lukewarm consumer demand, but an SUV is in better alignment with consumer trends than a sedan or hatchback EV offering," says IHS Markit analyst Stephanie Brinley. "One of the things EVs need to break through to mainstream is more range, but also to be in an uncompromised package." What Ford says: "Global utility lineup will be the company's first hybrids powered by EcoBoost ... engines, further improving performance and fuel economy." 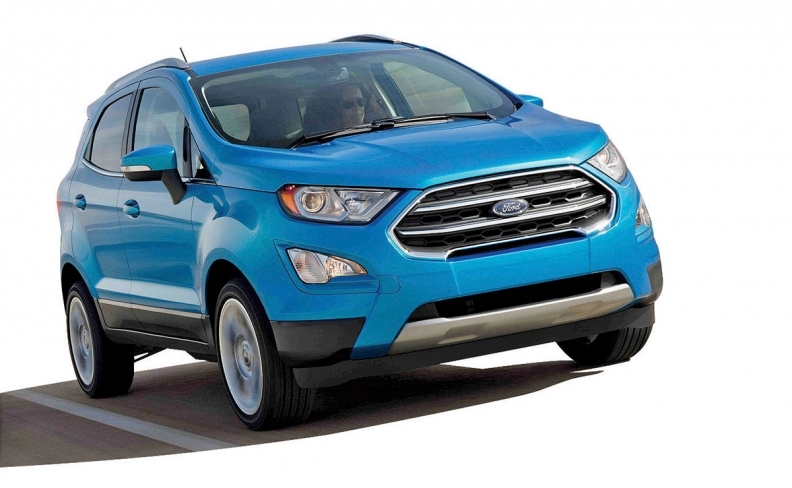 How it could be done: For front-wheel-drive and all-wheel-drive utilities such as the Edge and Escape, Ford is unlikely to tear up the architecture to install the hybrid system. The solution: electric rear axles, which are in production or ready to go from a number of suppliers, including ZF, Bosch and BorgWarner. 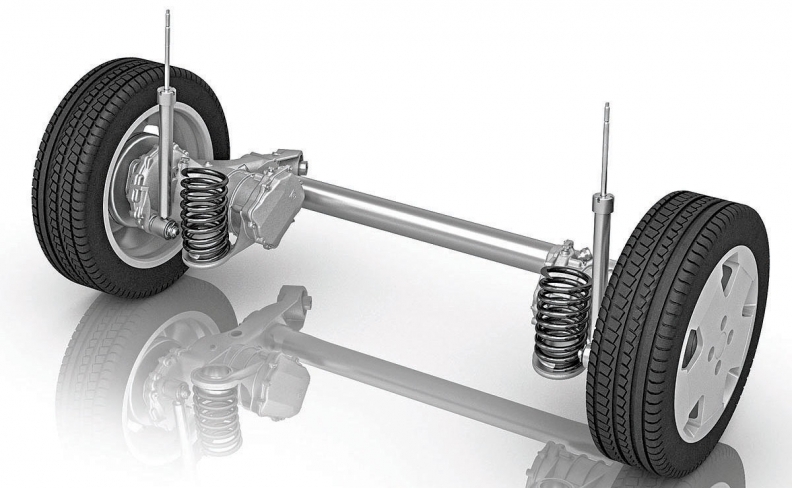 An electric rear axle module enables awd, is easy to package -- it simply replaces the rear suspension unit -- and can be tuned in many ways. Rear-wheel-drive utilities would likely use a version of the F-150 Hybrid's powertrain. Risk and reward: Safe bet. Adding a hybrid system to a utility boosts fuel economy, low-end performance and traction. 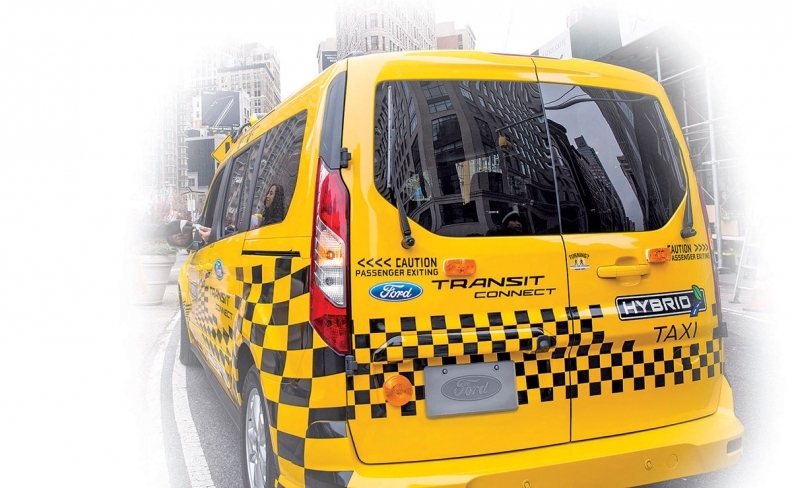 And hybrid utilities bring it all back home for Ford. In 2004 Ford launched the Escape Hybrid, America's first home-grown hybrid utility.